If asked to choose, I would guess that everyone has a different favorite part of quilting. For some it's cutting, for others it's piecing. I have several friends who love the quilting aspect. I haven't heard anyone say basting is their favorite though... ;) For me, it's definitely designing. I have dreamt up many quilts, but sometimes I've been intimidated by the level of detail or amount of cutting required for the design. Or even just the repetition of cutting so many tiny pieces. When AccuQuilt contacted me last month and asked if I'd like to review their GO! Fabric Cutter, I jumped on the opportunity. I've been using the AccuQuilt GO! Fabric Cutter for a few weeks now, and I'm excited to report my thoughts. This is a really long cutting die and mat for cutting strips. There are also marked angles on the mat, of various degrees, which would be handy for placing fabric that needs to be cut at 30°, 45°, 60°, etc. Below the GO! Strip Cutter die is the cutter itself, GO! Qube of included dies, and all the manuals and pattern book. Yep, this bundle also includes a *lot* of patterns. There are patterns in the Idea Book, there are pattern cards on each die in the GO! Qube, and there is a pattern book by Eleanor Burns as well. 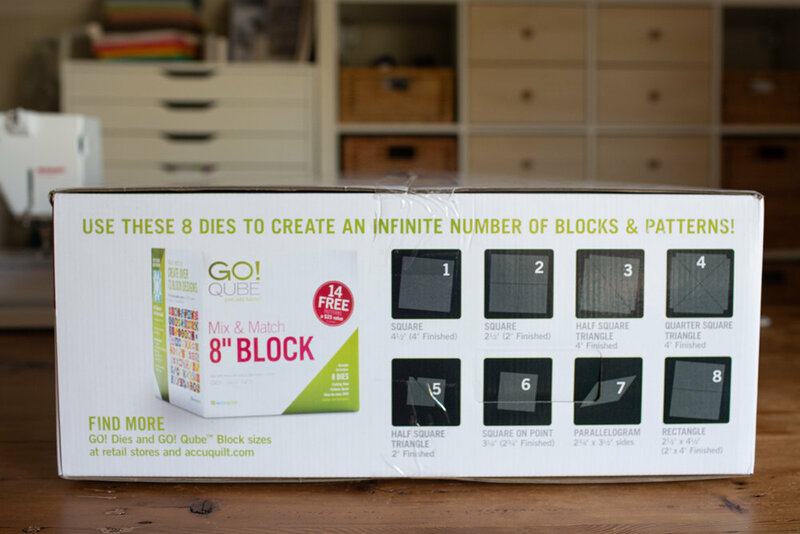 I really like the way AccuQuilt packaged the GO! Qube die set. Each set of 4 dies opens up like a book. They have a nice little slot for storing the die and the pattern card. The AccuQuilt GO! Fabric Cutter itself is nice and solid. I never felt like it was going to slide around on my table. As shown in the above photos, it can be stored upright and closed. When it is open, it has a very large bed. I decided to jump right in and make some blocks from the included pattern book by Eleanor Burns. One thing I really liked about this book in particular was that it gave fabric measurements for the "rough cut" of the fabric. That's the size of fabric you need to put on the die. Obviously it doesn't have to be a perfect cut, but it was nice to have a ballpark estimate. For some dies, she even gives you the size of a strip to then fold a few times, creating multiple layers of fabric on the die. That results in many pieces of fabric being cut at once. The number of layers the die can cut at once depends on the type and thickness of the fabric. For quilting cottons, you can cut up to 6 layers at a time. Using the cutter was super easy and smooth. I mentioned before that this is a solid piece of equipment. There was no worry about it sliding around on the table or lifting into the air when I turned the handle. The fabric cutting was a breeze and I was able to get stitching on my block. Another great feature is how the dies handle the points on triangles. This makes the fabric super easy to line up when sewing. My Whirlpool block came together perfectly, so I decided to try out a few more patterns. I made patterns from both the pattern cards and the included book. The pattern cards do not give you that "rough cut" estimate that is included in the book patterns. For those blocks, I just used a ruler to measure out the cut area of the die, and made sure my fabric was about 1" bigger than that in width and length. I had so much fun making these blocks - the cutting was quick and easy...and most importantly, accurate. That made the piecing go a lot smoother and be a lot more fun. I really like that the Ready. Set. GO! Ultimate Fabric Cutting System bundle box comes with all these basic shape dies that I may not necessarily want to have to collect individually on their own. But then I started to think about what else would be possible with this fabric cutter. It came to mind that it would likely really shine when being used to cut odd shapes which you may normally need to use a special ruler, template, or foundation paper piece. I happened to be paper piecing a vintage block at the time called the Sacramento quilt block. I do love paper piecing, but there can be a lot of paper/ink, fabric waste, and trimming time involved. I decided to purchase the GO! Kite-4" Finished die and compare making one of my paper pieced blocks to the die cut block. As you can see, cutting the fabric in these shapes by hand or template would have been very time consuming and probably not super accurate. (This is why I had previously been foundation paper piecing this block). 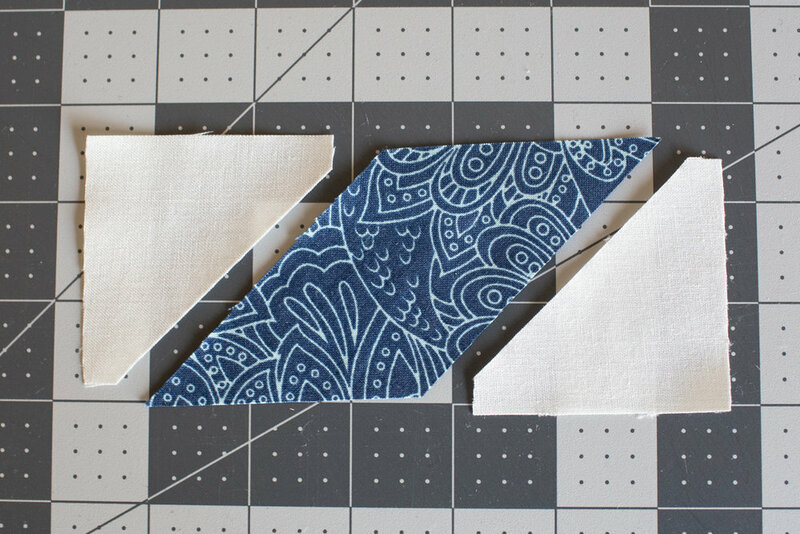 There was significantly less fabric waste when using the AccuQuilt Fabric Cutter and die. I also did not need to do any trimming or tearing away of paper when I pieced this block. When comparing the AccuQuilt GO! version to my two paper pieced blocks, it looks just as fabulous. It came together in about half the time. Like most things in the quilting world, the AccuQuilt GO! Fabric Cutter is an investment. To use the cutter, you must have the cutter itself, die(s), and mat(s). I really did enjoy the fact that the bundle had everything I needed to get started - including patterns written specifically for the dies. I was ready to create as soon as I opened the box. 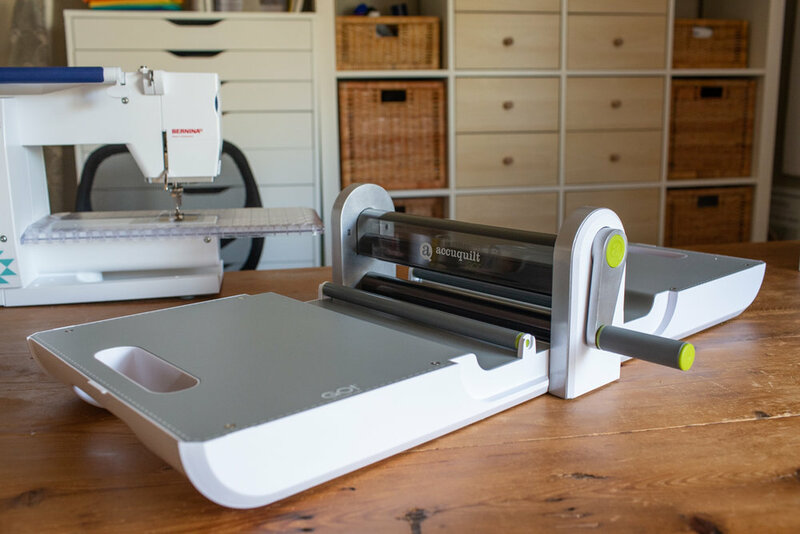 The fabric cutter itself felt like it was high quality and will stand up to continued use. I think the AccuQuilt GO! Fabric Cutter really shines when using it to cut a large amount of a particular piece (hello, 500 HSTs), or an odd shape. Besides the Kite die which I purchased, I plan on investing in a curves die and a double wedding ring die set. To be honest, these are patterns/shapes that I just do not enjoy cutting in bulk free hand or with templates. The Block on Board dies are also tempting - dies that cut all the odd shapes you need to make a particular quilt block. There are several deals going on right now at AccuQuilt. If you are considering the AccuQuilt GO! Fabric Cutter as a gift for the upcoming holiday season, this is probably the time to start shopping. Overall, I definitely recommend the AccuQuilt GO! 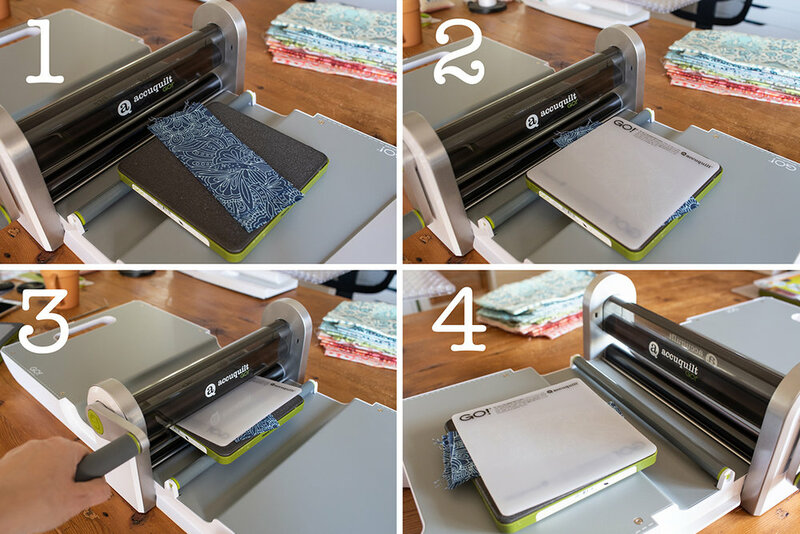 Fabric Cutter if you are looking for a tool to make cutting faster, more accurate, and more fun!